As we begin a new year, one thing on most people’s “to do list,” is buying home insurance and auto insurance. When it comes to personal insurance, you want to be adequately covered if you do have a claim, but you do not want to pay more than you should. We recommend that you call us before your personal insurance policies renew, so we can shop the market and compare options for you. Review your deductibles and limits - Are they adequate for your needs? Are you using your personal vehicle for Uber, deliveries, or other commercial use? If so, your vehicle may not be covered. Are you renting out part of your home? Again, you may need to adjust your coverage. Use an independent agent - Independent agents can access many different insurance companies and select the one that offers the best combination of coverage, service, and pricing. Do not buy insurance on the internet - Call us so that we can provide you with outstanding service along with competitive pricing. 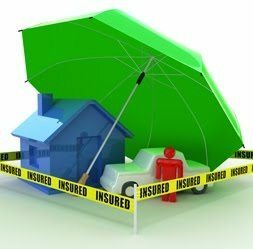 An umbrella, or “excess,” policy kicks in where your liability coverage for your auto and home ends, and is a necessity if you have any assets to protect. A $1 million umbrella is common, but $2 million is more realistic these days. Review your auto limits – If you have limits of less than $100,000, that won't even cover the medical bills in a serious accident. Bundle your insurance – Combine your auto, home, and umbrella policies with one insurer to receive greater discounts. Set the right deductible - A higher deductible reduces your premium, but you have to pay more out of pocket in the event of an accident. Consider identity theft coverage – Identity theft is one of the fastest growing crimes in the U.S.